Screams from the Porch: When the judges are away . . . Saw this down at the Knox County Deathstar. Apparently some local judges this week are at a judicial conference. 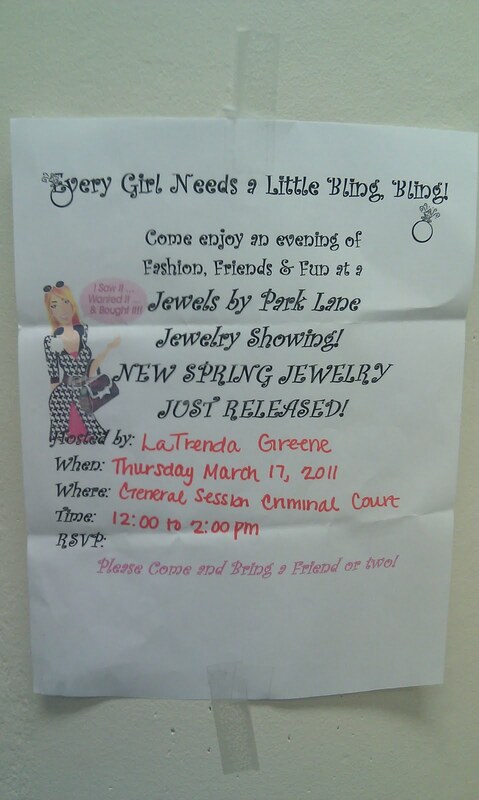 So, the staff is having a jewelry sale in the "General Session Criminal Court." Now, there's no phone number, so I couldn't get any additional information, but I do know that no one actually says "bling, bling" anymore. 'Course that was a stupid phrase anyway.